Google Bulletin app launches on Android. 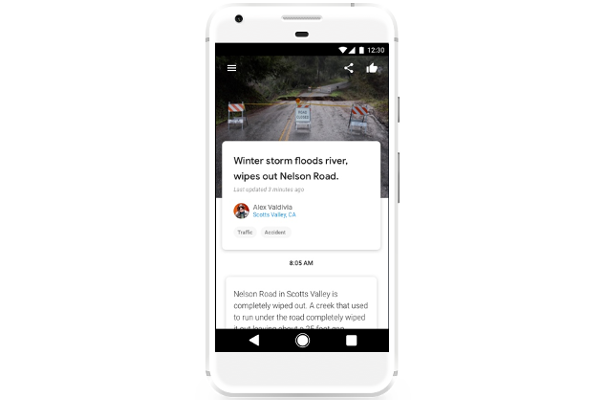 Bulletin, from Google, is an app for contributing hyperlocal stories about your community, for your community, right from your phone. Bulletin makes it effortless to put a spotlight on inspiring stories that aren't being told. Bulletin is a free, lightweight app for telling a story by capturing photos, videoclips and text right from your phone, published straight to the web (without having to create a blog or build a website). If you are comfortable taking photos or sending messages, you can create a Bulletin story! Bulletin is currently in a limited pilot, available in Nashville, TN and Oakland, CA. To be considered for the pilot, please request early access.